Between the advent of cloud storage and the rise of high-end phones with outright insane internal digital hoarding capabilities, the need for external methods to stash content of various types seems to have declined in recent years. 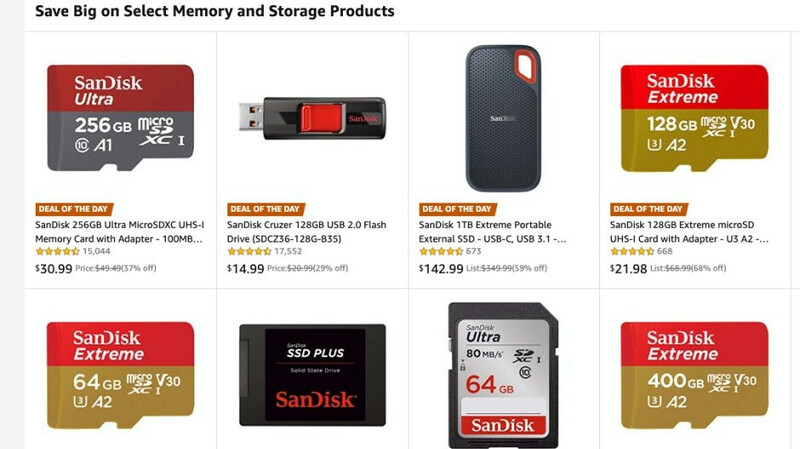 But prices on memory cards, flash drives, internal and external SSDs, external hard drives, and other storage products have also been dropping like crazy. As such, even if you don’t necessarily need any of the aforementioned items, it’s probably a good idea to be prepared just in case. In case you do eventually manage to fill up your handset’s 128GB, 512GB, or 1TB hoarding space or if you decide to purchase a more affordable 32GB model next and rely on the cloud and a blazing fast microSD card for anything exceeding that mark.